6 new “C” cards designed to create great moments on every special occasion. City Centre Beirut, Majid Al Futtaim’s leading fashion, hospitality, leisure and entertainment hotspot in Lebanon, announced during a joint press conference with Bank Audi and Visa, the launch of its long awaited All-New C Gift Card, the perfect treat for every occasion. 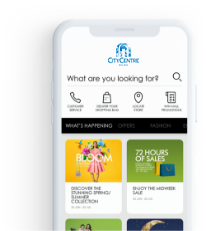 Sleiman Mallat, Senior Mall Manager for City Centre Beirut, confirmed the leadership positioning of the Mall by explaining: “We, at City Centre Beirut, are always in touch with our customers and listen to their expectations. Offering them a Gift Card with a flexible financial plan allows them to enjoy an extensive experience at the Centre. The All New Gift Cards comes in 6 different types aiming to create great moments for everyone on any given occasion, which is our core vision at Majid Al Futtaim”. Mrs. Randa Bdeir, Group Head of Electronic Banking and Card Services at Bank Audi asserted: “Bank Audi set two years ago a strategy that aims to build a Cashless Society and given that the prepaid cards market in Lebanon and the region is still developing and there is significant potential of growth, especially that consumers are still using cash to buy goods and gifts, which part of it can be converted into electronic payment, therefore we decided to partner with Majid Al Futtaim Group to launch the Visa Prepaid "C Gift Cards" from City Centre Beirut available in various designs that serve different occasions and society ranges segment needs in a clear response to the changing the contemporary consumer behavior making the shopping experience more practical. The Gift Card launch was held during a press and media conference at VOX cinemas followed by a Christmas lunch at the Terrace. Present at the event were Mrs. Bdeir from Bank Audi, Mr. Saboury from Visa along with press representatives.